Valve has apparently hired a number of developers that worked on Kerbal Space Program, but it hasn't bought the studio, and it won't affect the game. "They're [Valve] still buying up mod teams. The modders who made Kerbal Space Station [sic], they just gave that entire team jobs." Lundeen pointed out that this had happened four to six months ago. When asked by Eurogamer to confirm the hires, a Valve spokeperson said, "I can confirm that they joined Valve a while back. More details soon." As you can imagine, this led to some concern on the part of Kerbal Space Program fans. After all, the game's 1.3 update is in the works, as is a new expansion and improvement to the console port. Would this affect the game's future? Apparently not. Squad community manager UomoCapra posted on the official KSP forums yesterday to allay those fears, saying, "We want to clarify that Squad is not joining Valve, and we continue to be an independent studio with the core KSP team remaining at Squad, hard at work on the improved KSP for consoles port, Update 1.3 and the Making History Expansion. The KSP community shouldn't be concerned about this news having any impact on the game. "Regarding the developers joining Valve, it is important to note that we have had several people working on our team over the years, and it is common among development studios for team members to come and go. If some of them joined Valve, it is on their own behalf and we wish them good luck and success in their current and future endeavors. "So do not worry, everything continues normally with KSP." 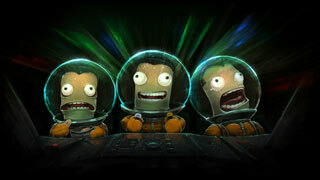 That news will come as a relief to fans of Kerbal Space Program. As to what the former Squad developers are working on at Valve? Well, that's anyone's guess.